Micromax’s Canvas 5 E481 has been officially launched with some robust specifications at affordable price tag. The new MMX Canvas 5 E481 is a huge upgrade over its predecessor Canvas4. It comes with 16GB of internal storage. It is boosted with 3GB of RAM. It draws the power from Octa-core CPU clocked at 1.3GHz frequency. It is equipped with 13MP main camera with 1080p FHD video recording and 5 Megapixel selfie taker. Micromax Canvas 5 E481 features 5.2inch IPS LCD display having a resolution of 1080 x 1920 pixels and there is Corning Gorilla Glass 3 protection on the top of it. It gets the juice from 2900mAh battery offering 10 hours talktime. The Canvas5 E-481 will compete (V/S) with OnePlus X, Xiaomi Redmi Note 3, MI Redmi Note 2 Prime, Xolo Black, MI4 / Mi3, Yu Yureka Plus, Intex Aqua ACE, Lenovo K3 Note, Lenovo K4 Note, Samsung Galaxy A5, Galaxy J7, On7, Galaxy S4, Galaxy S5, Note 3, Galaxy Grand 2, Micromax Canvas Xpress 2 , MMX Canvas Pulse 4G and Coolpad Note 3. The Canvas-5 E481 runs on Android 5.1 Lollipop. It is a DUAL SIM smartphone with 4G LTE connectivity.For better graphics rendering and gaming performance there is Mali-T720MP3 GPU. Talking about the dimensions, it measures about 148 x 73.6 x 8.5 mm and weighs 143 grams. 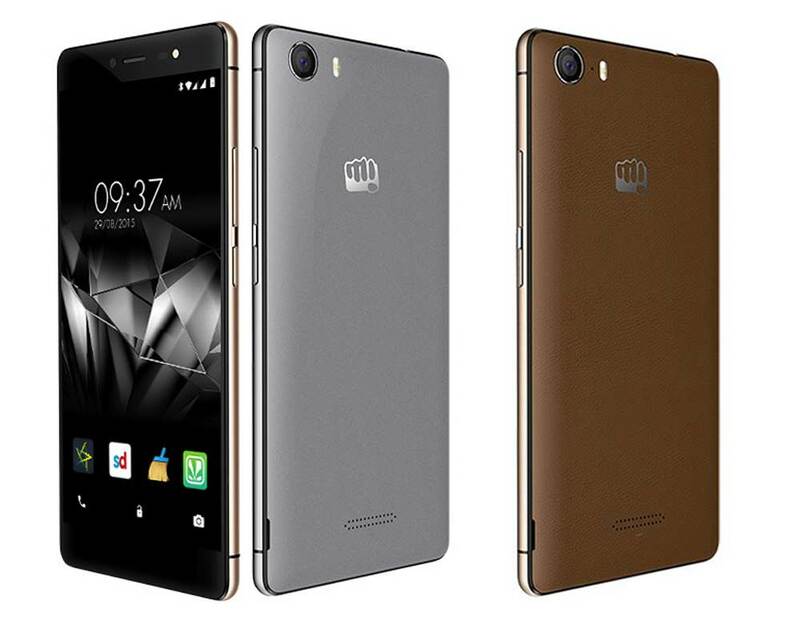 The Micromax Canvas 5 E481 is priced at RS 11999. It will be available in Black and Brown colors. You can buy it from flipkart, Amazon and Ebay.